November | 2010 | Small Farmers. Big Change. Thanks to everyone who called their Senators encouraging them to pass the amendments protecting small farmers! We will keep you posted next year when the House and Senate have to reconcile their differences. Minutes ago, the U.S. Senate voted 73-25 to approve the Food Safety Modernization Act (S. 510), which would expand the Food and Drug Administration’s authority to inspect food plants and issue mandatory recalls but protect small farmers and food producers from costly new regulations. The landmark legislation, which had broad bipartisan support, marks the first time in 70 years that Congress has addressed deficiencies in the nation’s food system. The U.S. House approved a similar bill over a year ago. Foodborne illnesses kill about 5,000 people each year. Thanks to an amendment introduced by Sen. Jon Tester (D-Mont.) and approved by the Senate last week, the bill provides scale-appropriate food safety rules for small farms and mid-sized farms and local processors that sell to restaurants, food co-ops, groceries, wholesalers and at farm stands and farmers markets. 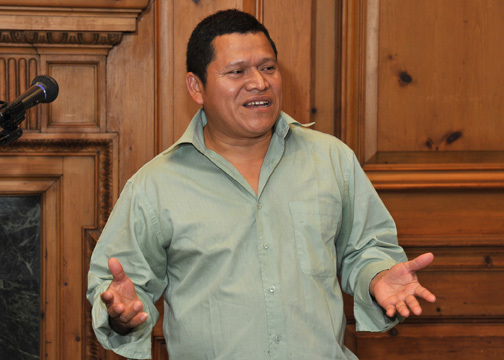 In mid-September, Equal Exchange and Catholic Relief Services co-sponsored a week-long Co-operative Speaker’s tour with Pedro Antonio Ascencio, Member, Farmer, and Marketing Coordinator of Las Colinas Co-operative in Tacuba, El Salvador. 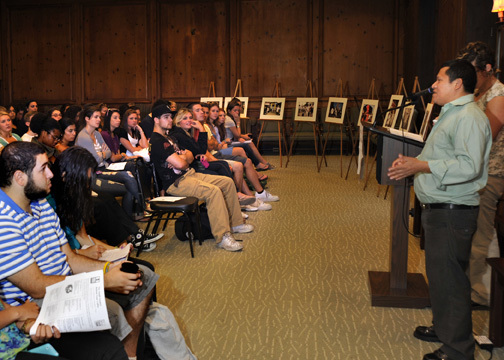 The tour included 15 presentations in four states mostly at Catholic churches, schools, or colleges, but also at the Willimantic Food Co-operative in Willimantic, Connecticut. 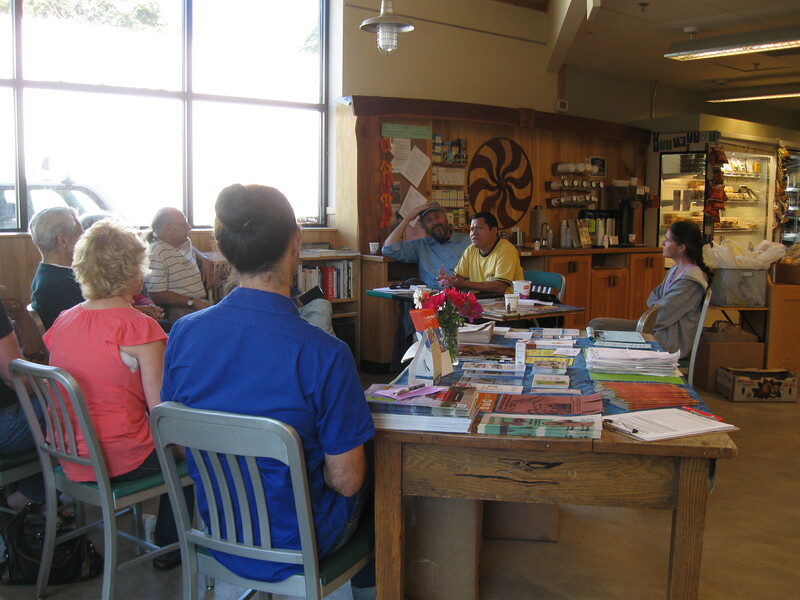 In his presentations, Pedro told the story of Las Colinas co-operative. From Fair Trade to Co-operative Trade: Can a business spark a social movement? 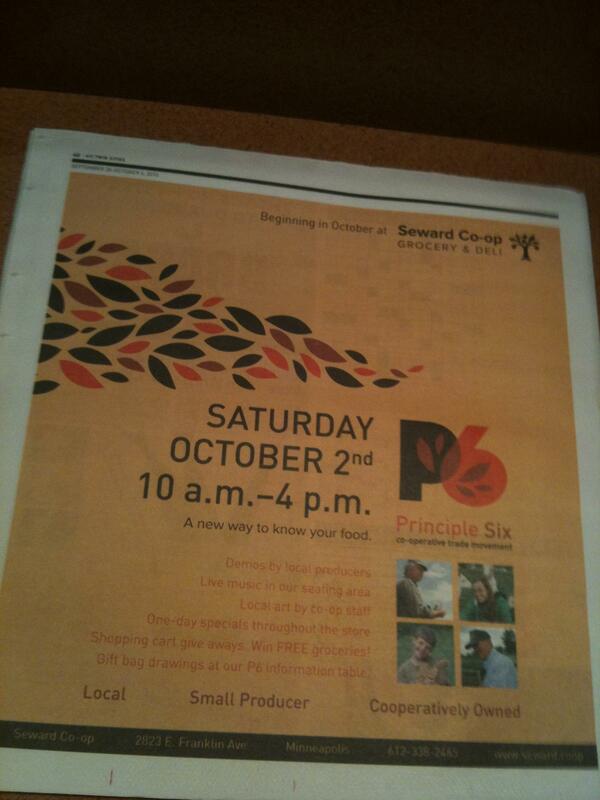 On October 1, 2010, Equal Exchange and six consumer co-ops launched Principle Six Co-operative Trade Movement. Fair Food Fight picked up the article introducing the new initiative and a skeptical gentleman named Fred accused us of “astro-turfing”. Despite his erroneous comment that the P6 website promotes the products of only one manufacturer, (there are literally tens of thousands of products being highlighted in the P6 initiative through the website and in the stores), Fred nevertheless poses an interesting question. The following post was written by Dary Goodrich, Chocolate Category Manager, and sent to us from Asuncion, Paraguay. Never in my wildest dreams did I believe I would someday find myself in the country of Paraguay. In fact, when I was younger and not expecting that I would travel here later in life, I probably couldn’t have located it on the map (it’s bordered by Argentina, Brazil and Bolivia) or told you that it’s one of two countries in South America that lacks a border with the ocean (Bolivia being the other). Yet, Paraguay is the organic sugar capital of the world; which is how I came to find myself writing this from the city of Asunción. Rob Everts, one of our Co-Executive Directors, and I, have just returned from two-and-a-half inspiring days with the staff and members of the Manduvira Co-operative. The co-operative is located in Arroyos y Esteros (Streams and Swamps), where they have had a strong presence since their founding in 1975. Initially the co-op was formed as a credit co-op with 39 members and over the years this continued to be their main focus. Sugar is a tough business. It is mainly controlled by the mills that process the cane and do the exporting of the final product; in fact, it is these mills that gain the largest profit from the sugar industry. The mill that the co-op sold its sugar to was able to dictate prices to the farmers. In a daring move, given that there are no other mills the co-op could have sold to in the area, 500 members went on strike in 2003 and stopped selling cane to the mill until they could get better prices. It brought the mill to the negotiating table and Manduvira was able to get a much better price for its members. This seemed to be a turning point for the co-op and its members, as they realized the power and strength they had in coordinated collective action. From there, the questions they had were why couldn’t they sell directly to the market and why shouldn’t the producers be able to control how much they get paid for their cane? It didn’t take long for them to get to work on this vision, and in 2005, they had worked out a deal with a mill about an hour and a half from the co-op to process their sugar cane for a fee—never losing ownership or control of the sugar. The co-op had done it and was able to sell directly to the international market. In 2005, La Siembra, a Canadian worker co-operative and our partner for our cocoa products, bought the first container of sugar directly from Manduvira. But it doesn’t stop there; today, this co-op of 1,500 members has both a strong vision and strong leadership. So what’s next for Manduvira? Owning the first farmer-owned mill in Paraguay! Plans are in the works, land has been purchased, and they hope to break ground in February 2011 to build the mill! We’ll keep you in the loop on the progress and when you sip our hot cocoa or sweeten your coffee with a sugar packet, know that change is happening. Click here to read a recent interview with Andres Gonzalez, General Manager of the Manduvira Co-operative.